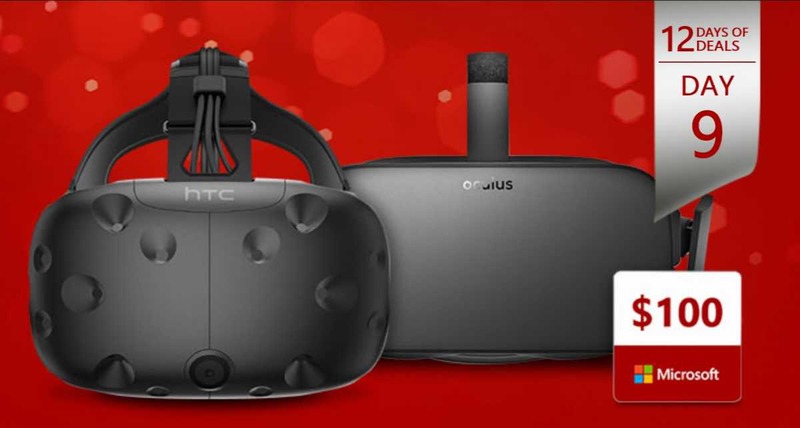 The 12 Days of Deals from Microsoft Store is today offering a $100 discount code on either the HTC Vive or Oculus Rift Virtual Reality headsets. Room-scale VR with precise motion tracking. Adjustable headset for comfortable, clear gameplay. Immerse yourself in games and movies. Hang out with friends in virtual reality. Buy the Oculus Rift is only $599 from here.